PCTuto is an annoying adware application that does not do what it has promised to. This program promotes itself as a useful tool that can provide with a variety of tutorials, but instead PCTuto floods your system with various pop-up ads that might inadvertently expose you to malicious schemes. Thus, if you want to protect your computer from harm, please remove PCTuto from the system as soon as possible. What’s more, if you do not know where this application has come from, you most probably need to scan your PC with a licensed antispyware tool as you might have more unwanted applications on-board. Truth be told, you can easily download PCTuto from pctuto.com, as the main homepage for the application works properly. 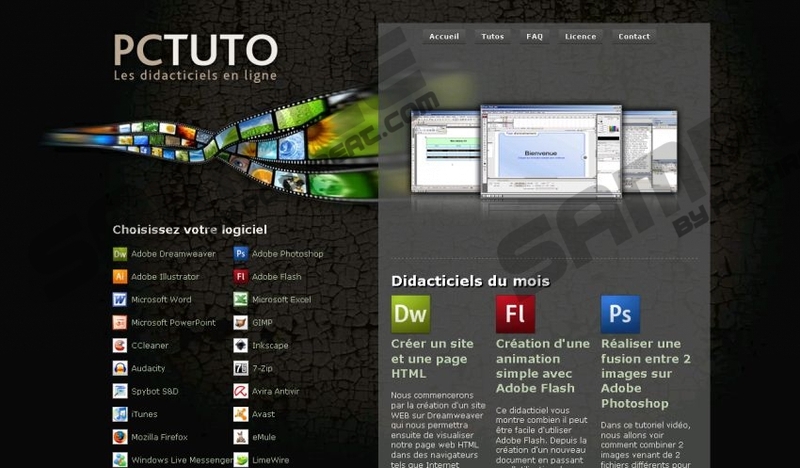 As you can see from its website, PCTuto is a French application that targets the French-speaking computer users. Nevertheless, if the program comes bundled with freeware (and it most certainly does! ), PCTuto might enter computers located in the United States and anywhere else in the world. Therefore, in order to avoid similar adware applications you have to be careful when you download freeware from third-party websites because you can never know what additional programs might be included in the installer. As far as PCTuto’s functions are concerned, the application barely does what it is supposed to. Although PCTuto promise to give you tutorials, it merely opens annoying pop-ups while you browse the Internet. If that were not enough, the application might also open a pop-up at random even if you do nothing. During our tests, we have all of our browsers closed for a time being, and PCTuto still launched a commercial pop-up without any notification. This should be enough to convince you that PCTuto is an intrusive application that has to be removed from your system as soon as possible. Fortunately, it is possible to uninstall PCTuto through Control Panel. All you have to do is open the list of installed programs and delete PCTuto via the Control Panel’s menu. However, if the application was installed on your computer with a number of other programs, you should seriously consider removing all the other unfamiliar applications as well. Scan your computer with the SpyHunter free scanner to determine which programs must be deleted at once and after the manual removal, make sure your computer is protected against similar intruders in the future. If you need any further assistance with ensuring your system’s security, you are always welcome to leave us a comment below. Open Uninstall a program and remove PCTuto. Go to Uninstall a program and remove PCTuto. Select Add or remove programs and uninstall PCTuto. Quick & tested solution for PCTuto removal.